Basement window replacement cost can vary anywhere from $200 to $2500 for the windows and installation, a huge price range that can seem confusing at first glance. However, replacing your basement windows can either be a simple replacement or a more involved basement egress window project. 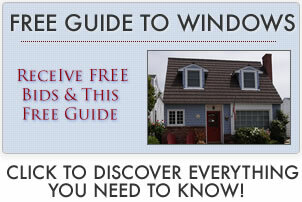 Entry level basement windows will often be a fixed frame or non-movable window. The frame will typically be vinyl or composite and be available in a limited number of colors and options. Standard basement windows may use an awning or single hung window with standard hardware features. The frame might be a high end vinyl, cellular PVC, lower end fiberglass or wood frame. The window glass will often be low-e, possibly with argon fills. Some basement replacement windows use stained glass or beveled glass for a nice effect and to provide some privacy. High end projects might use a double-hung or casement window. The frame will often be a wood with a vinyl exterior clad or even a steel frame. The window glass will usually be high end, with double or triple pane, low-e glass, argon filled and foam insulated. Installation will run $150 to $2000. A simple replacement will run towards the bottom of the price range. More complex projects with numerous technical requirements (one that provides an emergency escape) — means more hoops and work for the contractor. Discover egress widow cost.